Calvin's school principle is named Mr. Spittle. Captain Napalm appears only once throughout the series. Calvin's mum uses Wiz Fiz for their laundry. Bill Watterson worked as a political cartoonist and a grocery ad designer before working on Calvin and Hobbes. Spaceman Spiff predates Calvin and Hobbes by about ten years (both strips were Watterson's, of course). Calvin and Hobbes ran from November 18, 1985 to December 31, 1995. Bill Watterson was the youngest person to win the Reuben Award for "Outstanding Cartoonist of the Year." I am adding this here having nowhere else to put it. 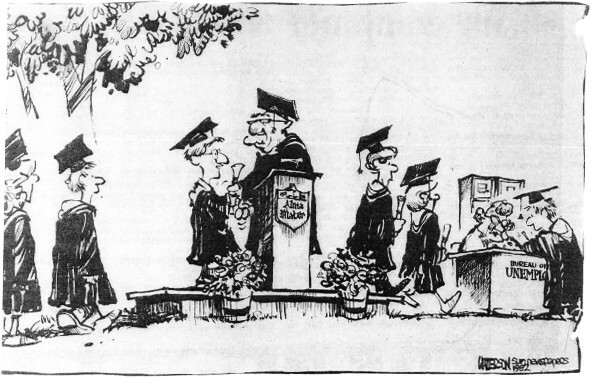 It is an editorial cartoon Watterson did in 1980 for The Cincinnati Post. I think it is great how this was as true nearly 30 years ago as it is now.